I’m starting a new feature: Manicure Monday! 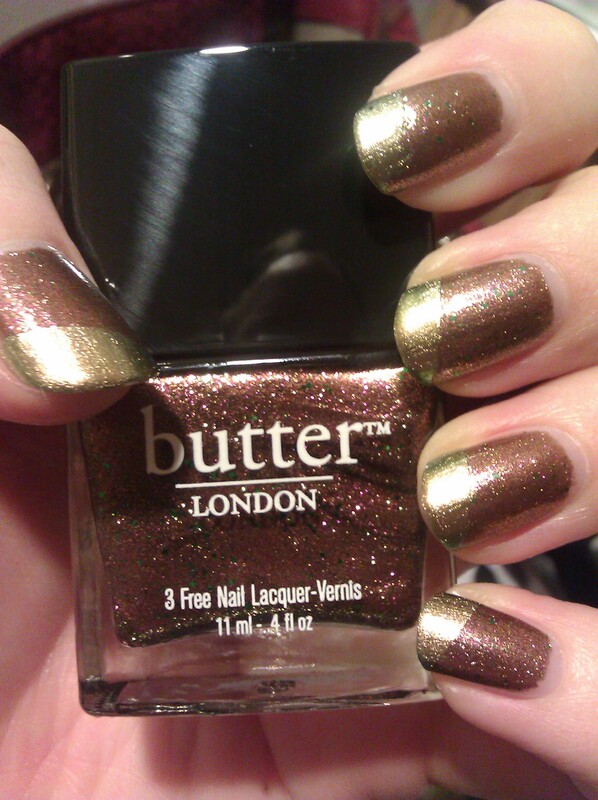 Disclaimer, I’m not a proper nail polish blogger, I’m simply an enthusiastic hobbyist. 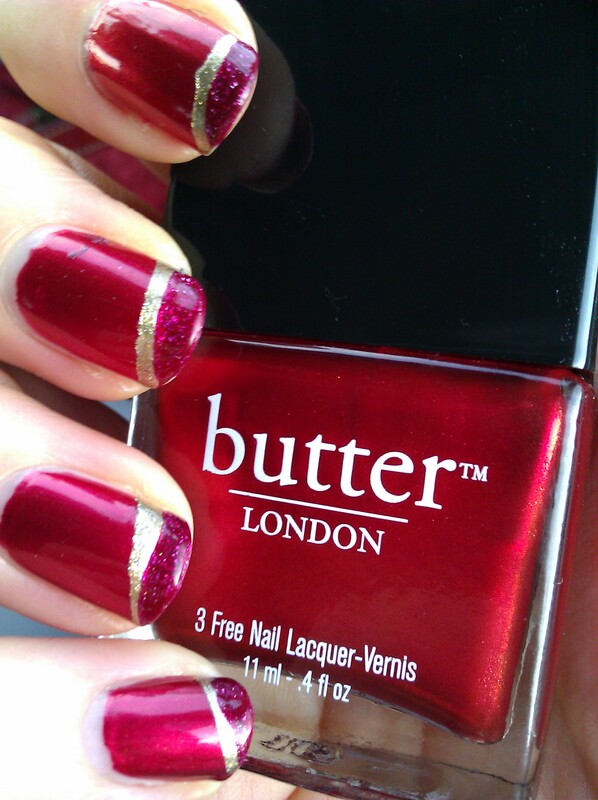 Let me know if you like Manicure Mondays … if I don’t hear any “nays” I’ll probably keep doing them. Nail polish took off for me as a hobby about two years ago when I started using it as a reward for completing workout challenges. It seems to have taken off as its own full-blown obsession, and now I do my nails twice a week, more if they chip and I have a lot of shinies to try. 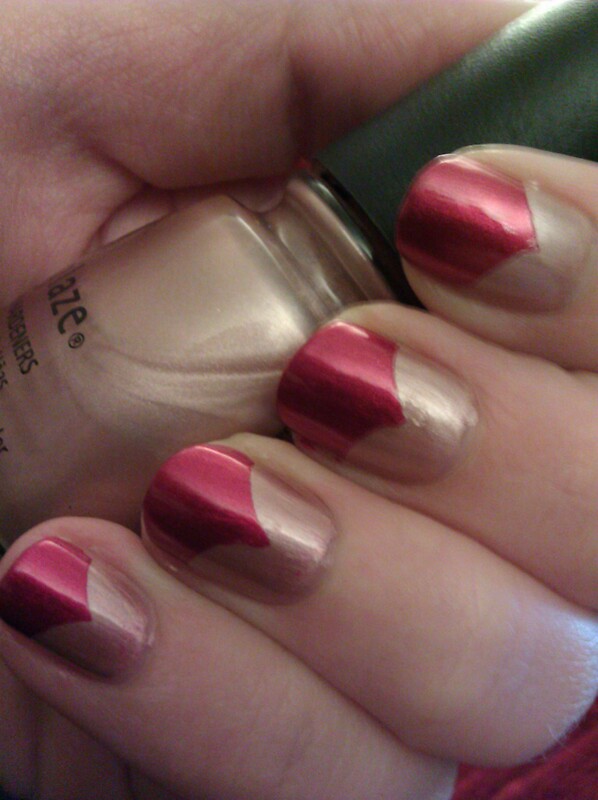 For Valentine’s Day this year, I wanted to try a pretty half-moon manicure look that I’ve seen on Tumblr. 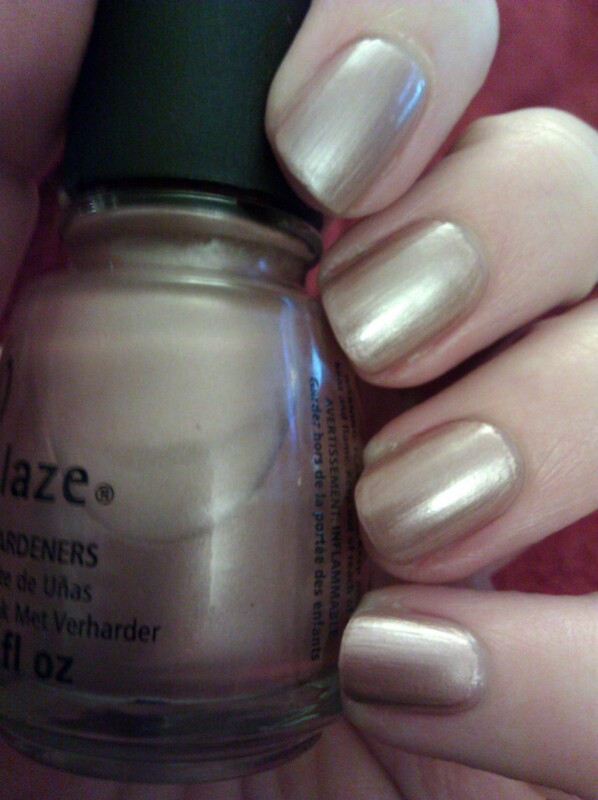 I started with a base of China Glaze Camisole. 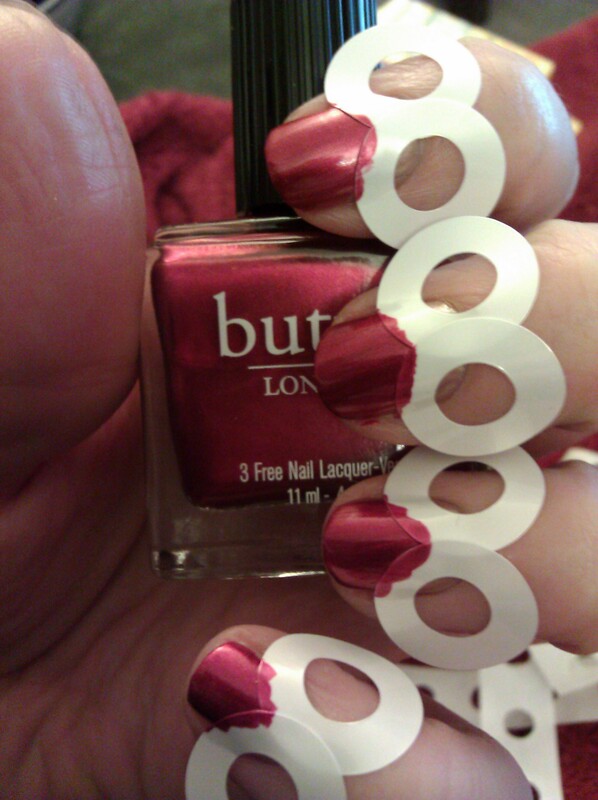 To do this simple manicure, you use reinforcement labels (I’ve tried french manicure strips and they’re just not curved enough). Stick one on half of the nail base, another on the other half of the nail base. 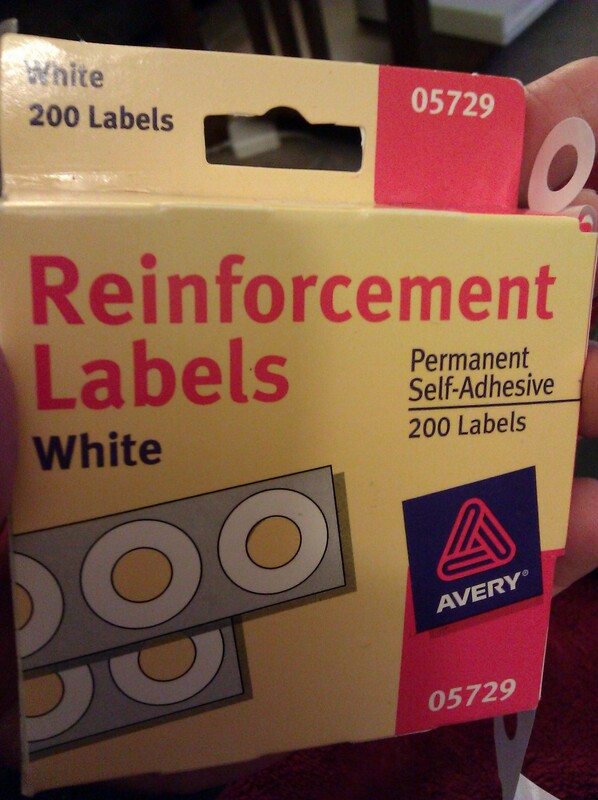 Make sure to place them evenly. Paint your nails with a contrasting color – or even the same color family if you like, so long as there’s a difference in texture, finish, or hue. 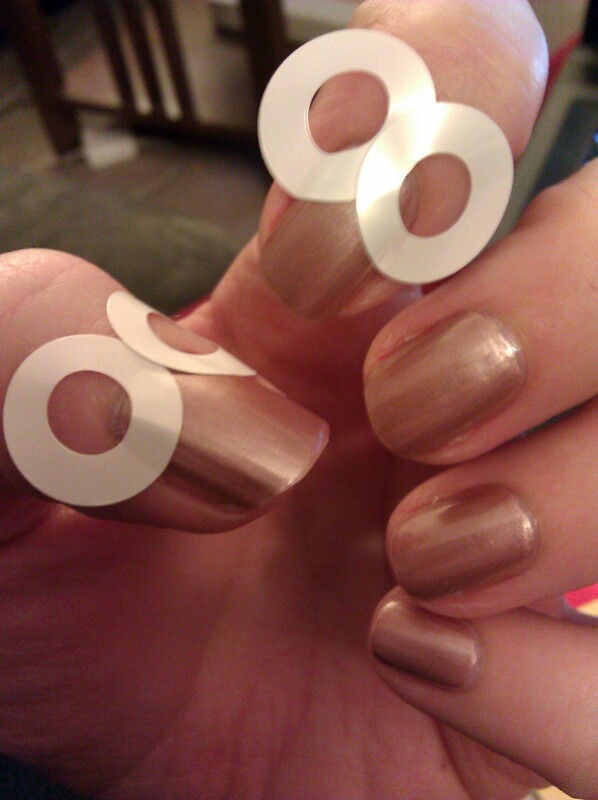 Peel off the stickers, carefully, and brush a top coat over the whole nail. Voila, half-moon hearts! Tomorrow I’m going to repeat this again with another layer of Camisole closer to the tips. And there you have my Manicure Monday! My plan for Manicure Monday is to post that day’s manicure, or process photos if I did something special; as well as anything lovely and remarkable that I may have done recently. The slippery slope into nail polish madness and the nail polish and makeup blogs that I’ve haunted since then became the inspiration, in part, for the story that I’m working on right now. The Fall Guide is beauty blogger meets smooth-talking producer, and sparks ignite. The catch: they’re both in Vegas for the weekend, and our lovely blogger has a boyfriend. I’m enjoying writing the Fall Guide more than should be allowed, and hope to wrap it up this month, polish it, and send it for submission. Hope everyone has a great week! My lady and I will be out on Wednesday the 13th instead of Valentine’s Day, so I’ll probably post something on the 14th if I have time. Post script: the randomizer chose #27, the winner has been contacted, and has happily accepted her brand-new copy of Bestiary Volume One. Thanks for entering, everyone, and stay tuned for future giveaways to come. I love this! I would have never thought to use those stickers to nail designs. The look turned out fabulous.